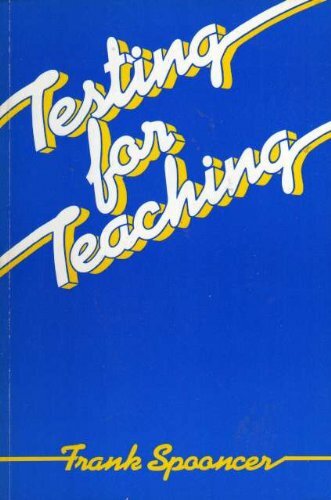 This book is based on the argument that detailed and developmental formative feedback is the single most useful thing teachers can do for students. It helps to clarify the expectations of higher education and assist all students to achieve their potential. 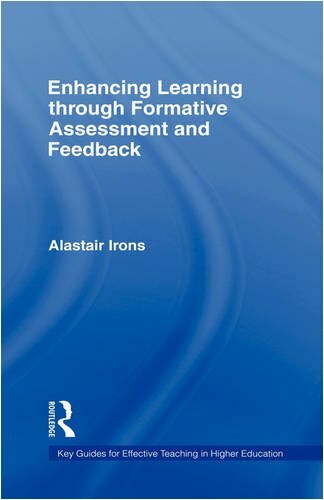 Underpinned by the relevant theory, the practical advice and examples in this book directly address the issues of how to motivate students to engage in formative assessment effectively and shows teachers how they can provide further useful formative feedback. 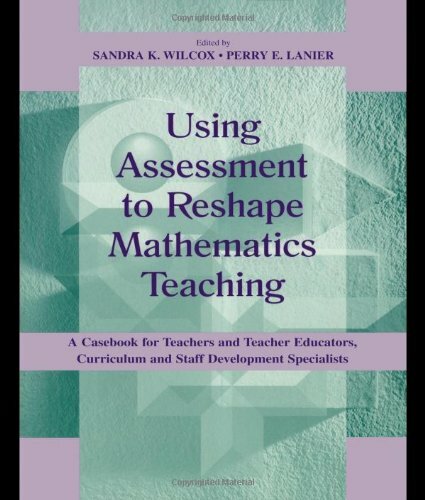 This casebook is intended to support professionals who are working in a variety of contexts to use classroom-based assessment more effectively to support teacher learning and teaching change, and to enhance the opportunities for all students to develop mathematical power. 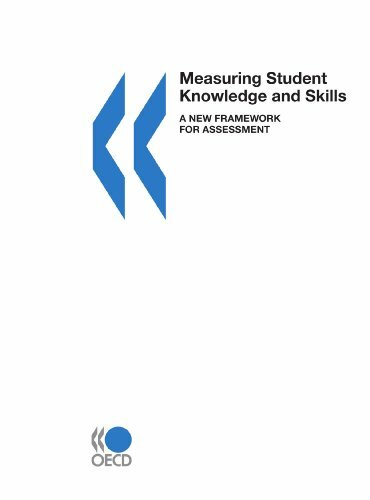 It grows out of a collaboration of mathematics teachers and teacher educators, and mathematicians, to better understand the role of assessment as an ongoing activity to help teachers reshape their own teaching practices. At the heart of each case is using assessment to make sense of what students understand and what they are confused about, deciding what counts as evidence of that understanding, and using the analysis to consider what the teacher's next instructional moves might be. All of the cases in this volume are built around actual episodes from mathematics classrooms. Intended as decision-making exercises, they present the raw data of classroom events in a straightforward way and are designed to stimulate analysis and reflection; provoke various and sometimes conflicting interpretations of an event; bring to the fore deeply held beliefs of beginning and experienced teachers so they can be reconsidered; and engage professionals in pedagogical problem solving in the context of complex classroom settings. 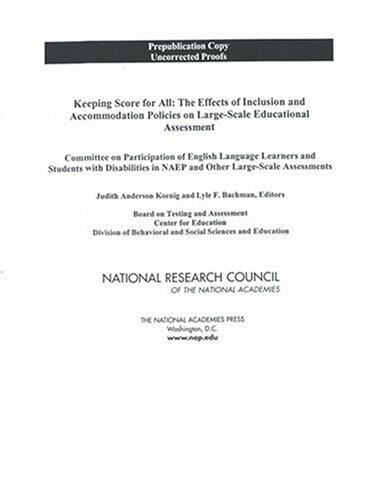 This volume reflects the growing interest in cases as a pedagogical tool in teacher professional development. The cases are organized to take up key themes of the NCTM Professional Teaching Standards in ways that will assist and support teachers, teacher educators, and curriculum and staff development specialists in learning to assess and in linking assessment with curriculum, teaching, and learning. 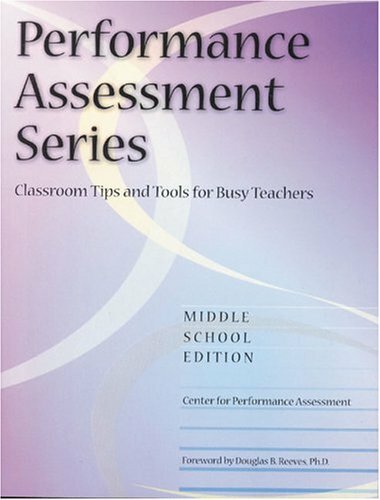 Although each case contains many ideas for linking assessment with curriculum and instruction, the most powerful use of these materials resides in their design intended to foster conversations among groups of professional colleagues. The editors' field-testing of the cases--in initial teacher certification courses and in in-service workshops--has shown that they prompt engaging and demanding analysis through a variety of analytic lenses. A videotape containing vignettes for four of the cases in the Casebook is available with this book. Transcriptions of the video vignettes are printed in the case materials in the book. Course instructors and professional development facilitators will need both the Casebook and the videotape and should order the Casebook/Video set. The video can also be ordered separately. 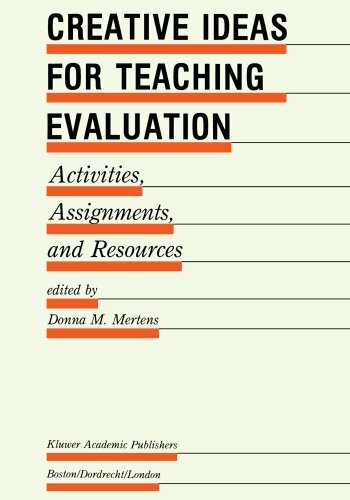 In this book, Arthur L. Costa and Bena Kallick have assembled a collection of writings by outstanding educators who have taken up the challenge of improving assessment in their schools. 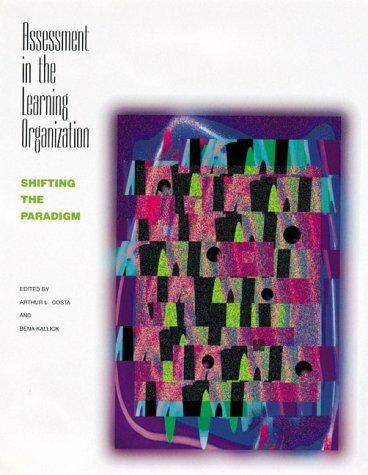 They approach their task from a relatively new perspective, one informed byPeter Senge's concept of the "learning organization" and by the late W. Edwards Deming's concept of total quality management through continuous improvement of processes. - Bringing congruence and integrity to organizational goals and assessments through systems thinking. - Using feedback spirals to promote continual learning. - Changing existing mental models for the role of assessment in schools. - Stating purposes and outcomes in the form of a shared vision. - Using team building and critical friends as resources for continual learning. - Identifying a developmental continuum that helps teachers and learners set milestones along the pathways to personal mastery. I am upset with this company for not being able to ship this item.They cancelled my order. Worthwhile to good administrators and teacher leaders. 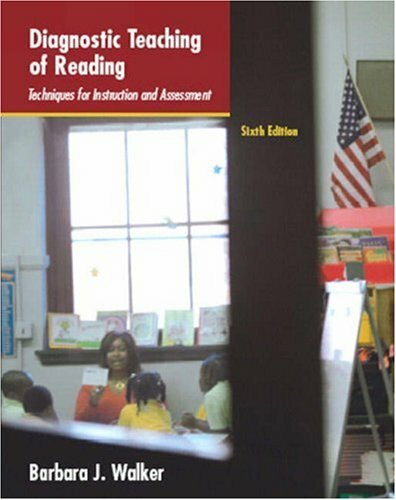 The only reason I am keeping this book is the second section includes over 100 ideas to use in the classroom for reading and writing and reasons for using each.These are a good place for teacher to get ideas to make quality, creative lessons, definitely not a substitution for real lesson plans. The first section of the text was so redundant and simplistic while using heavy vocabulary for no reason.The author seemed to rely so heavily on vocabulary while failing to include any real context.It was a boring read that taught me nothing.I hope I never have to read another of Barbara Walker's books again.It was difficult to dissect the pointless banter to discover what, if any, point was being made. The book was the one that I exactly needed for my Master's Class, it is very useful and very informative for the reading program. Educators and policy makers in the United States have relied on tests to measure educational progress for more than 150 years. 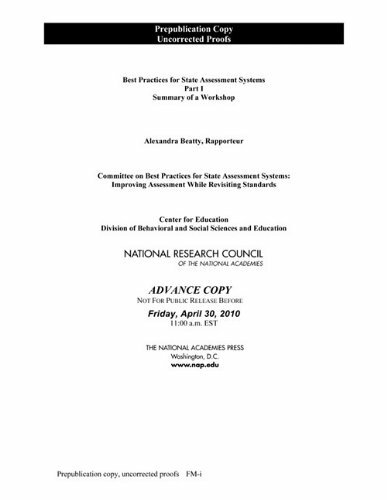 During the twentieth century, technical advances, such as machines for automatic scoring and computer-based scoring and reporting, have supported states in a growing reliance on standardized tests for statewide accountability.